I’m sure that most of us can think of times when we were called to “hit the ground running,” which is an idiom often used to describe an energetic start to a new day or to some new adventure in life that we begin at full speed. Our best guess is that the term originated with soldiers who landed on a field by parachute and quickly moved forward as soon as they reached the ground. When I was in college I once landed on a field by parachute, but did not exactly hit the ground running. Flat on my back, I just stared up at the sky. Sunday, September 2nd when we will honor Organist/Choirmaster Rosemary Wasser and give thanks for her years of service among us. The Blessing of Backpacks for school kids will also be given at all worship services! Saturday, September 8th at the Back to School Bash on the grounds of the church! Friday, September 7th, as 7th and 8th graders begin a new year of confirmation! Sunday, September 9th, when our leaders in Christian Education will be installed, and Kingdom Kids Sunday School and SALTeens Youth classes will all kick off for the fall. Tuesday, September 11th, and every Tuesday thereafter, as our mission in Howard County formally begins with weekly Bible Study! Wednesday, September 12th, when Common Ground returns to St. Andrew-Silver Spring! Sunday September 16th, the day we celebrate the installation of Ruth Heilman as our new Minister of Music! 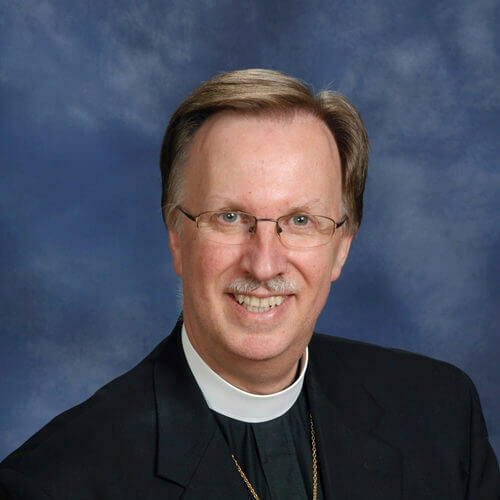 Sunday, September 30th, as Christine Connell, CEO of Lutheran Social Services-National Capitol Area joins us to give thanks for Pastor Ken Carlson’s decades of service as he retires from the LSS Board. And those are just some of the highlights of the work of Christ among us and our celebration of the good gifts His Spirit brings to us as summer turns to fall and our life together in the family of God is once again renewed and refreshed for a new season of loving, energetic, faithful service to the world. So, don’t miss a step! Let’s hit the ground running, and let’s keep going full speed ahead for the joy of our life, the hope of the world, and the glory of God!